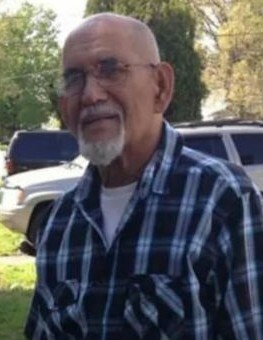 Obituary for Angel Luis Gonzalez | Rodriguez Funeral Home, Inc.
Angel Luis Gonzalez, age 80, lovingly known as Angelo, passed away peacefully in his home surrounded by his loving family on Wednesday, January 30, 2019. He leaves precious memories to his wife Edith Margarita Colon Serrano; their children Hilda M. Lugo and Franklin Gonzalez; his son in law Jose Lugo; daughter in law Joemily Gonzalez; his siblings Alberta “Berta”, Genaro “Naro”, Santiago “Chago”, Alejandro “Jando”, Irene, Celia, Gina and Catalino; three grandchildren Debbie Torres, Hector Luis Velez and Efrain Gonzalez; and two great granddaughters Stephanie Stokes and Siani Stokes. He is also survived by nieces and nephews among other relatives and dear friends. A public viewing will be held on Thursday, February 7, 2019 at 10 am followed by a Liturgical Service 11 a.m. at the Rodriguez Funeral Home, J Street & Erie Avenue, Philadelphia, PA. He will be laid to rest at Greenmount Cemetery of Philadelphia, Pennsylvania.